Over the past nine years, Sharjah Investment and Development Authority (Shurooq) has accrued a portfolio of completed and ongoing projects worth AED 7.6 billion extending across a total area of 11.74 million square metres. 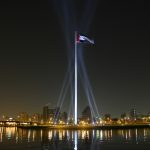 Following the Emiri decree No.2 to establish Shurooq, issued by His Highness Sheikh Dr. Sultan bin Muhammad Al Qasimi, Supreme Council Member Ruler of Sharjah, the authority has not only confirmed its pivotal role in driving the emirate’s prospects, it has established Sharjah as a major international business hub. HE Marwan bin Jassim Al Sarkal, Shurooq Executive Chairman, said: “The policies and vision of His Highness have strengthened the investment environment, paving the way for a strong economy and immense future growth. Sharjah’s economic strategy is based on diversification, understanding the basic needs of investors and the desire to improve the style and quality of life for all residents. Thanks to Sheikh Sultan Al Qasimi’s foresight, Sharjah has built an outstanding investment development model for other economies to emulate. He attributed much of Shurooq’s success to the far-reaching approach it has adopted in planning and management as well as in the continuous development of its human resources as part of ongoing efforts to enhance the emirate’s competitiveness as an ideal place to work, invest and live. “Shurooq focused on constructive cooperation and integration with various state departments and agencies across the UAE for the benefit of all emirates, inspired by vision of the late Sheikh Zayed bin Sultan Al Nahyan, the founder of the nation,” he said. 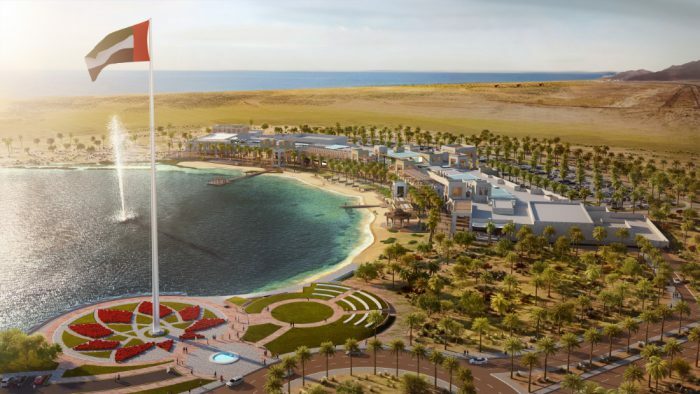 Shurooq’s portfolio includes several large-scale projects including Al Qasba, Al Majaz Waterfront and Al Montazah Amusement and Waterpark, as well as the iconic Al Noor Island, which sits on the shores of Khalid Lagoon, combining nature, entertainment, culture and art. 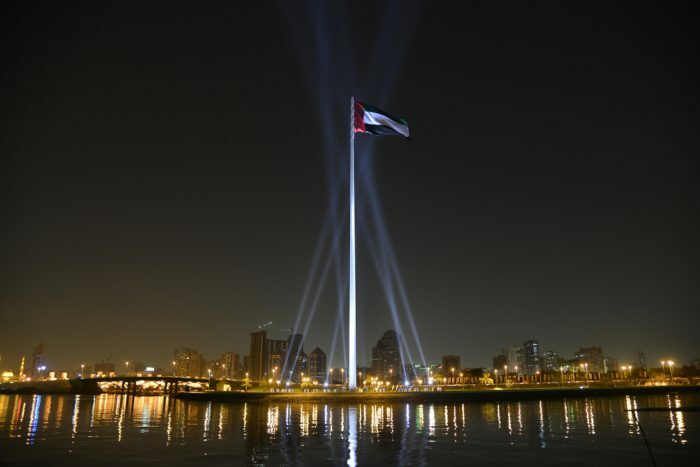 Other destinations include The Flag Island and other Flag Squares across the emirate which are among the most prominent national monuments in the UAE. Other projects currently under construction include the ‘Heart of Sharjah’, the largest historical preservation and restoration project in the region. 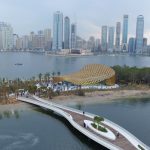 Planned over five phases, to be completed by 2025, the Heart of Sharjah is home to a variety of tourist facilities such as Souq Al Shanasiyah and Al Bait Hotel. Shurooq also boasts the Maraya Art Centre and the 1971-Design Space, the ‘I Love Sharjah’ brand and City Sightseeing Sharjah tour buses. The emirate is also home to major events like Sharjah Food Festival and Sharjah World Music Festival, among many others. In its relentless endeavour to promote the value of services and products it offers to the public, Shurooq entered the eco-tourism sector, launching the Kalba Eco-Tourism project in May 2012 with a view to providing a number of nature reserves and diverse tourist facilities in collaboration with the Environment and Protected Areas Authority in Sharjah. Pressing ahead with its strategy to implement sustainable projects, Shurooq began the development of the Mleiha Archaeological and Eco-Tourism Project in early 2016. 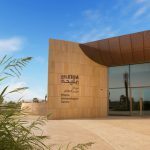 In its first phase, the project saw the construction of the Mleiha Archeological Centre, which offers visitors a glimpse into Sharjah’s rich legacy and historical treasures, and a diverse set of desert adventures. Shurooq’s strategy for expansion and growth has continued with the launch of the ‘Sharjah Collection’ hospitality brand, which was announced in April 2017 during the authority’s participation in the Arabian Travel Market. 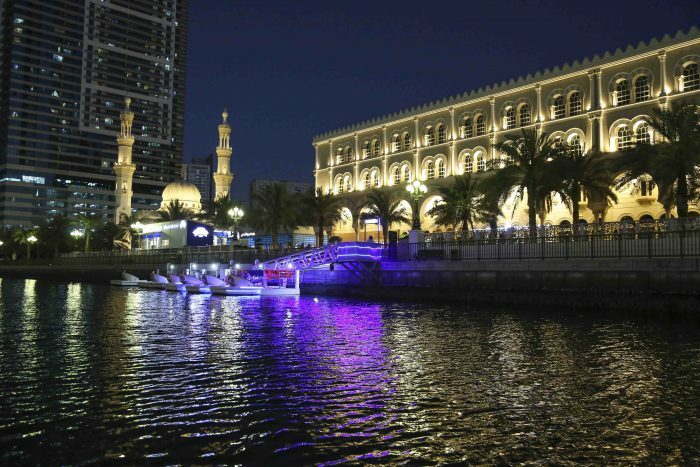 The Sharjah Collection includes a number of luxurious lodge and B&B-style properties, along with environmentally-conscious hotels to offer its guests unique living experiences with an authentic taste of Arabian hospitality, rich in Emirati culture. 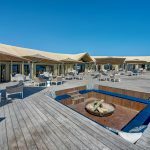 Shurooq appointed Mantis Collection, the owner of some of the world’s finest boutique hotels and eco-escapes, to manage all hospitality facilities that fall under the Sharjah Collection brand. 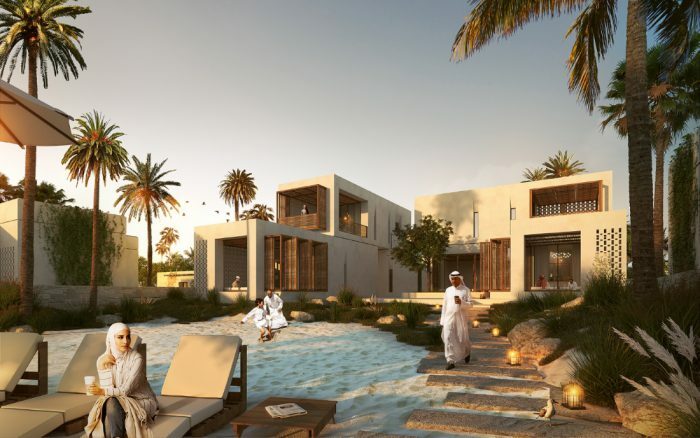 The first phase of the Sharjah Collection’s portfolio includes three projects: Al Badayer Lodge in the Al Badayer Desert; Bait Khalid Bin Ibrahim in the Heart of Sharjah; and the Kingfisher Lodge nestled within the Kalba Eco-Tourism project. Recently, Shurooq announced the addition of the Fossil Rock Lodge to the Sharjah Collection. 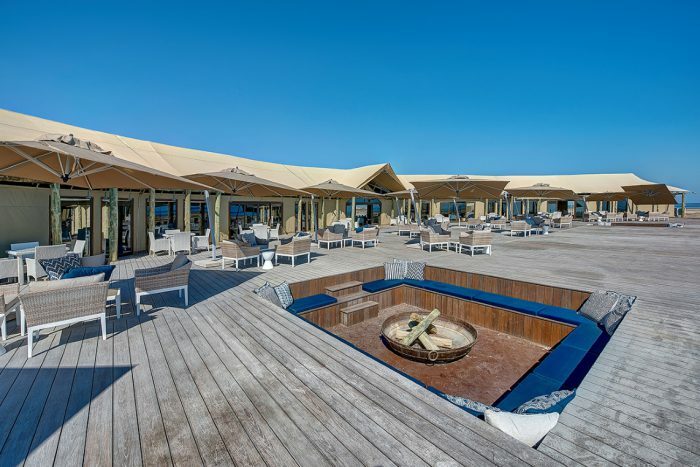 The Kingfisher Lodge, a five-star hospitality project, features a tented camp within a stunning mangrove nature reserve in the heart of Kalba. Construction work on the project began in March 2017, and is expected to open soon. 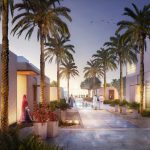 Shurooq announced that 80% of Fossil Rock Lodge within the Mleiha project is complete, which will serve as a modern luxury hospitality facility offering a unique experience for desert adventurers and nature lovers. The authority has been actively involved in developing a range of projects, some of which are near completion and will be opened over the next few months. 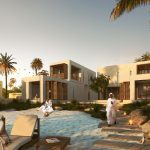 During 2018, other large-scale projects will be delivered, including Al Bait Hotel, a boutique five-star hospitality facility and the first of its kind heritage hotel in the UAE, and Al Badayer Lodge. Al Bait, part of the ‘Heart of Sharjah’, has transformed authentic Emirati houses through renovation and expansion. Singaporean General Hotel Management (GHM), a leading operator of luxury hotels in the world, has been appointed to operate the AED 100 million luxury resort. Another project, Al Badayer Oasis, is a retreat overlooking the golden sand dunes of Sharjah’s central region. In July 2017, Shurooq added 10 dormitory rooms for individuals and groups as well as a cinema and a gym, increasing the project’s total investment from AED 45 million to AED 60 million. 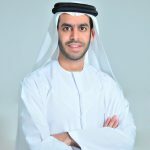 He added: “According to figures released by the Sharjah Department of Economic Development, in 2016 the real estate and business service sector achieved growth of 4% and with the launch of new, innovative projects I am confident that we are on the threshold of a big jump for this sector in the near future. “Sharjah’s sophisticated infrastructure and legislative frameworks encourage the sector to flourish, especially with the introduction of the usufruct right that allows non-UAE citizens to own properties on a 100-year leasehold basis,” noted the Executive Chairman of Shurooq. 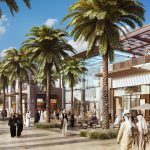 Al Sarkal also indicated that the previous lack of real estate projects with integrated services and facilities have prompted Shurooq to announce a series of strategic partnerships and joint ventures with world-class local companies such as Eagle Hills, Nakheel, Diamond Developers and Emaar Hospitality. 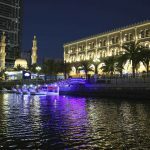 Shurooq is collaborating with relevant bodies and agencies in Sharjah to identify potential opportunities and provide facilities that help attract investments and capital to these sectors, ensuring the free circulation of data between legal, economic and tourist bodies, enhance transparency and objectivity. According to a statistical study by Shurooq, the tourism and leisure sector in Sharjah has a wealth of opportunities, especially in luxurious accommodation, with four-and five-star hotels accounting for 70% of emirate’s total hotel revenues. This is apart from potential opportunities in leisure destinations in Sharjah, particularly in the food and beverage sector, which is expected to reach $1.4 billion (AED 5.15 billion) in 2019. The size of the environment sector is expected to reach $281 million (AED1.03 billion) in Sharjah by the end of this year. 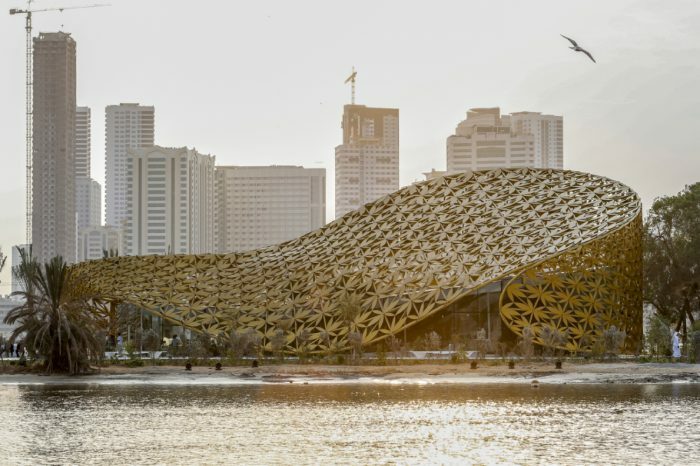 With Sharjah placing a high premium on preservation and environmentally sustainable practices, the sector is likely to grow to $314 million (AED1.15 billion) by the end of 2020. Sharjah’s healthcare sector also offers many investment opportunities. With imports accounting for 90% of medicines, there is investment potential to establish pharmaceutical plants to meet a large portion of domestic demand. The number of beds in local hospitals account for 0.6 beds per 1000 people at a time the healthcare sector is expected to grow by 9.3% annually. These figures show the investment appeal and revenue potential in the local health sector through establishing more medical facilities. In education, Sharjah is home to an impressive array of prestigious and world-class educational establishments, with educated people constituting 92% of the emirate’s total population. The education sector is still very promising for investment, particularly in schools, universities and specialised institutes. 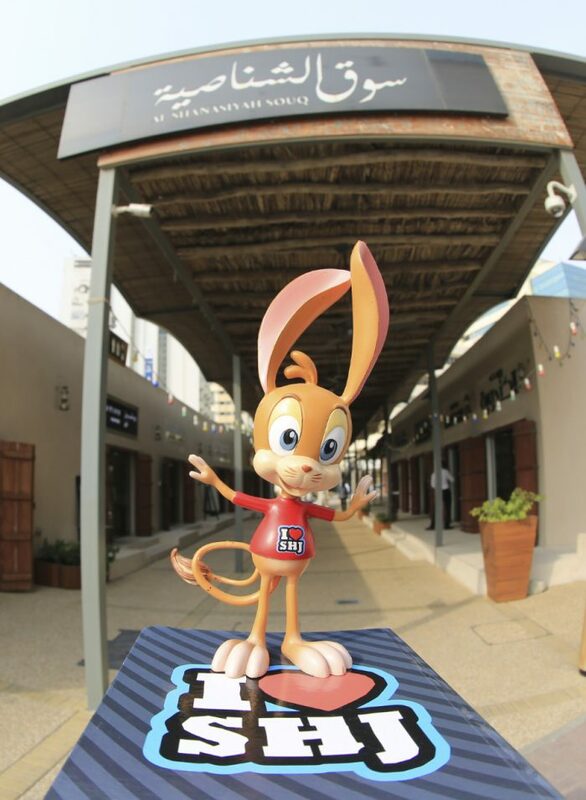 For light industries, Sharjah is home to 65,000 small and medium-size enterprises that find the emirate an ideal place for their growth and expansion. 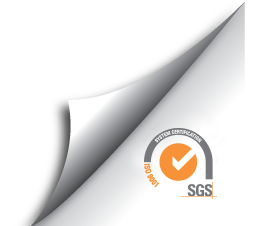 The SMEs provide the domestic market and foreign markets with many light industries such as food, packaging, and light metal industries, among others. Sharjah has 22 industrial zones offering world-class facilities, opening the doors to investors from all over the world. 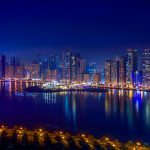 Sharjah’s GDP hit AED152 billion in 2016 according to the Department of Economic Development, partly attributable to the emirate’s strategic location between Asia, Europe and Africa. Sharjah is home to world-class seaports on the Arabian Gulf and Indian Ocean, as well as its international airport and the sophisticated infrastructure of roads and integrated transport networks. The transport and logistics sector in the emirate is expected to achieve a total value of $1.7 billion (AED 6.25 billion) by the end of 2018 and projected to rise steadily to $1.9 billion (AED 7 billion) by the end of 2019. Invest in Sharjah is the official entity with a mandate to introduce investment opportunities to business owners, managers and investors in various sectors and helping them to make the most of the emirate’s offerings. The office implements an overall strategy based on providing a range of advantages and incentives in cooperation with a number of relevant government agencies and departments, to enhance the business environment in Sharjah and make it more attractive. Shurooq continues to make achievements in 2018, during which it revealed the establishment of a new company ‘Eagle Hills Sharjah’ in a strategic partnership with Abu Dhabi-based leading developer Eagle Hills. Under this new joint venture, Shurooq launched three large-scale projects worth AED 2.7 billion to be developed by the new company. 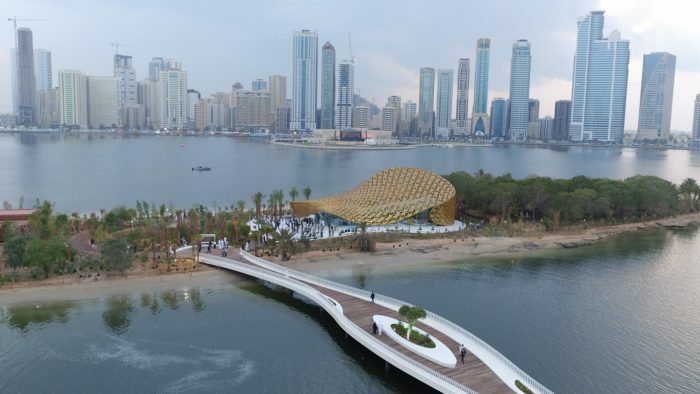 The three projects include Maryam Island, Palace Al Khan and Kalba Waterfront, all of which are focused on promoting Sharjah's tourism sector and celebrating the emirate's heritage. 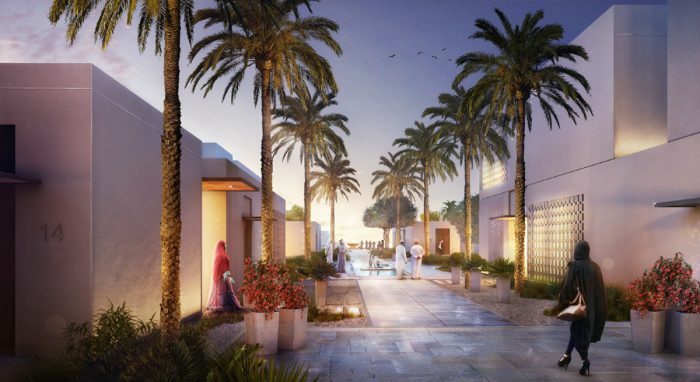 The large-scale projects, including high-end hospitality facilities, will give a strong boost to the emirate’s flourishing property sector, setting new benchmarks for housing, hospitality and retail offerings, as well as lifestyle communities in Sharjah and Kalba. The projects are scheduled for completion between 2019 and 2020. 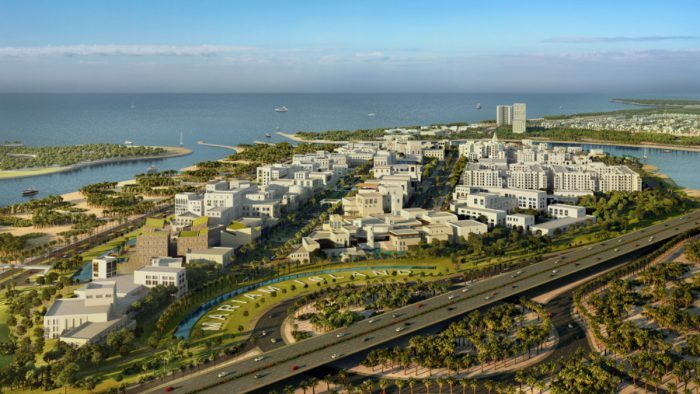 The largest of the three projects in term of both value and area is the AED 2.4-billion Maryam Island, a mixed-use development located between Al Khan Lagoon and Al Mamzar in Downtown Sharjah. Maryam Island spans 460,000 sqm, of which 310,000 sqm are designated for commercial and residential compounds, hotel units, restaurants and cafes, shops, leisure facilities and green parks. 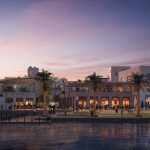 The $43.5 million (AED 160 million) Kalba Waterfront is a master-planned retail mall spanning 17,000 sqm with 11,200 sqm of gross leasable area. 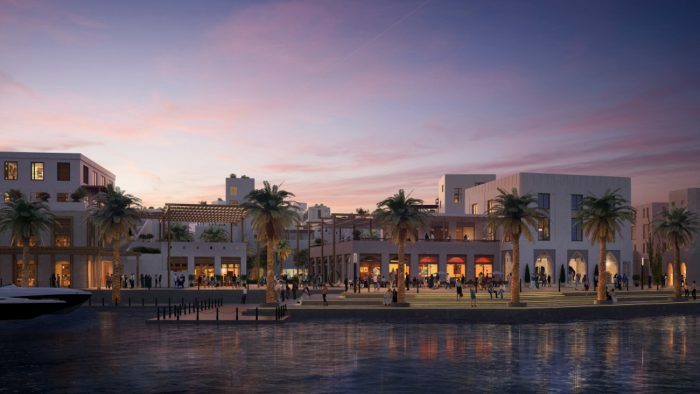 The shopping centre will be located within the Kalba Eco-Tourism Project adjacent to a lagoon, and house 86 retail outlets, indoor and outdoor dining outlets, local and international brands, a supermarket and entertainment area. The unconventional design of the mall includes internal public streets with outlets and shops on both sides, offering a unique outdoor dining space and breathtaking views. Palace Al Khan is designed to be Sharjah city’s first five-star luxury waterfront resort. 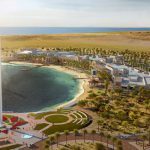 The seaside hotel, extending over 66,200 sqm along the city’s coast in Al Khan area overlooking the Arabian Gulf, will offer 87 hotel keys. 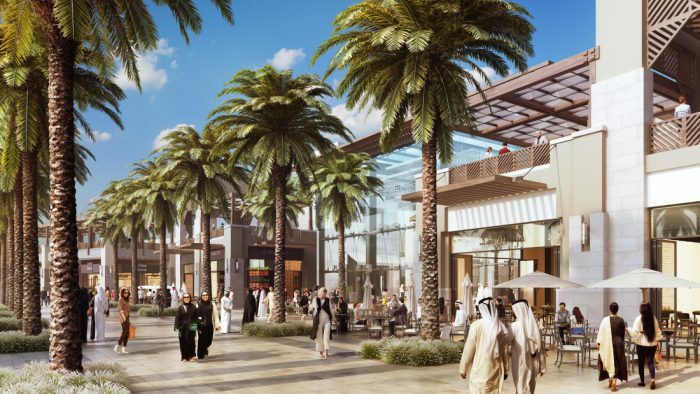 In April, Shurooq signed an agreement with master developer Nakheel to develop a new community retail centre at a total cost of AED75 million. 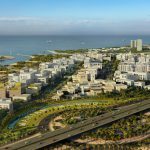 Under the agreement, Nakheel will develop a high-class community retail and leisure centre in Sharjah’s rapidly-expanding Al Rahmaniya district. In alignment with its vision to strengthen strategic partnerships with the private sector and boost the emirate’s drive of economic diversification, Shurooq signed a partnership agreement with Diamond Developers to develop a large mixed-used project in Sharjah. The green project enhances the quality of real estate projects in Sharjah, meeting the highest standards of environmental sustainability, allowing new and innovative options for investments in the green sector. Parallel to Shurooq’s strategic growth in its portfolio of investments and its plans to strengthen Sharjah’s economic presence by diversifying its sectors, Shurooq established a total of 7 companies that operate under the authority, each with a different function to support the emirate’s economic expansion. Some of these companies function as transport and logistics, while others function marketing agencies, entertainment houses and trade services. Among these companies are: Sharjah Transport Solutions, Absolute Adventures, Tasweeq, Poltrona Frau, Qatra, Mazare’a and TACA Emirates. Over the past nine years, Shurooq has bolstered its global commercial and economic ties through overseas business visits and receptions, participation in exhibitions, conferences, forums and international investment and economic events. It also entrenched its position through a continuous presence in many specialised economy and investment events, whether as a participant or an organiser, including the Arabian Travel Market and the Annual Investment Meeting, which are held in Dubai. On the local level, Shurooq organised economic forums such as Euromoney Emirates Conference, and the Sharjah FDI Forum for three consecutive editions as of 2015. It also organises the UAE-Indian Economic Forum and the Sharjah-Arab Business Roundtable. In another move, Shurooq organised the Sharjah Senior Golf Masters, which received a widespread international attention and coverage. Shurooq has also enjoyed an impressive presence in the World Investment Forum in Shanghai, the Korean Investment Fair, China’s Trade Week and the Asian Financial Forum in Hong Kong. 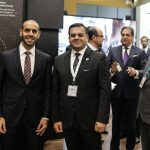 The authority organised ‘Sharjah Day’ in London and Milan, and took part in the FDI Expo in London, the World Travel Market London and ITB Berlin. To reinforce Sharjah’s business and investment status, Shurooq organised tours, roadshows and visits along with its participation in events across the world, including the GCC countries, Arab League, China, Hong Kong, South Korea, Malaysia, Japan, Taiwan, India, the United Kingdom, Italy, Germany, Portugal, France, Spain, the United States and Australia. 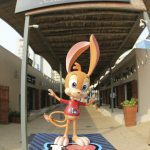 Shurooq has signed a number of agreements with local and international entities, including Air Arabia, the Arab-British Chamber of Commerce, the US Chamber of Commerce, Emirates Transport and Careem, and the Sharjah Center for Astronomy and Space Sciences, among many others. 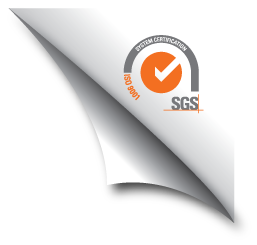 In recognition of its overall accomplishments, Shurooq secured a large number of local, regional and international awards and accolades. It has won the title Top Investment Promotion Agency in Middle East three times, and was named FDI Agency 2013 as part of the Banking Awards, and FDI MENA Agency of the Year 2014 by the European Global Banking and Finance Awards. Shurooq’s other accolades include the Arab Organisation of Social Responsibility Award and Sharjah Government Communication Award for 2015 and 2017. 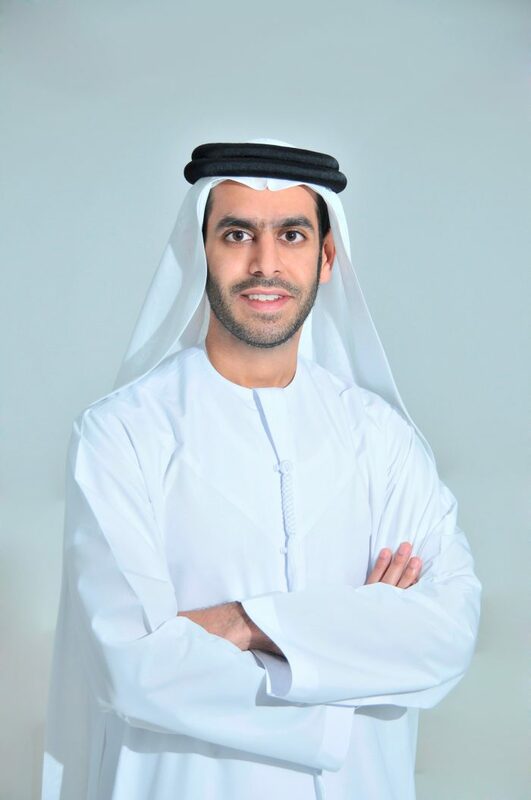 HE Marwan Jassim Al Sarkal was awarded with the Golden Friends of India Award, and was also named the Middle East CEO of the Year by the prestigious Burj CEO Awards, as well as the Best Official Spokesperson as part of the Sharjah Government Communication Award 2017. Shurooq’s destinations have also won a host of prestigious local and international awards. 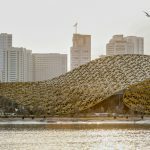 Al Noor Island won the 2016 WAN Metal in Architecture Award and the Iconic Award in the Best Architectural Design category. Also in the same year, it was named Best Leisure Architecture in Africa and Arabia 2016 as part of the International Property Awards, and was the recipient of the IF Design Award 2017 and German Design Award 2017. 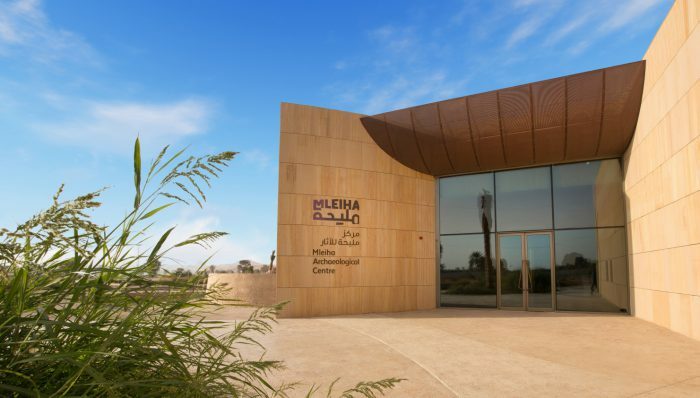 The Mleiha Archaeological Centre within the Mleiha Archaeological and Eco-Tourism Project won the prestigious Cityscape Global – Best Community, Culture & Tourism Project Award in the Middle East, and the Community and Culture Award as part of the Middle East Architect Awards 2016, in addition to other awards from the Sharjah Commerce and Tourism Development Authority.